Virtuoso is the industry’s leading leisure travel network. This by-invitation-only organization comprises more than 17,500 elite travel advisors associated with over 400 agencies in 22 countries in North and South America, the Caribbean, Australia and New Zealand, as well as over 1,000 of the world’s best travel providers and premier destinations. Independent travel agencies receive sales, marketing and technology support, specialized training and accreditation programs, as well as exclusive services and products, as a result of their membership in Virtuoso. Being a Virtuoso client means your travels will be customized to your specific desires by a foremost expert, and that you’ll be recognized as one of the most prestigious guests in the world with all the privileged access, perks and service that implies. The network’s member agencies generate over $14 billion annually in travel sales, making the group the most powerful in the luxury travel segment. Our relationships with the finest travel companies provide the network’s affluent clientele with exclusive amenities, rare experiences and privileged access. The best gets better – completely complimentary – when you join Virtuoso Voyager Club, Virtuoso’s premier cruise advantage program. No one delivers a better luxury cruise experience. You’ll share in the company of a dedicated onboard host, at your service, to ensure that your experience is outstanding. You’ll meet with like-minded travelers at an exclusive cocktail reception. And you’ll enjoy a privately arranged shore event or credit toward a personalized travel experience – tailored just for you. They’re all complimentary, simply for reserving your cruise through a Virtuoso travel advisor. VIRTUOSO LIFE speaks to inspired travelers with a passion to explore the world at its best and to experience it in rare and unique ways. Published six times a year, VIRTUOSO LIFE covers luxury cruising, top vacation destinations, hotel and resort stays, cultural tours, spa retreats, private jet charters, and custom itineraries around the globe. 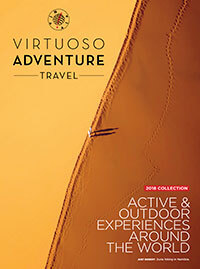 Every issue of VIRTUOSO LIFE also includes Virtuoso member travel consultants’ unique perspective and guidance, serving to inspire the world’s most discerning travelers’ next great travel experience. Who gets VIRTUOSO LIFE magazine? 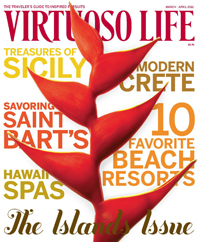 With an ever-rising circulation of 250,000, VIRTUOSO LIFE is mailed to the homes of Virtuoso travel consultants’ top clients and to MasterCard World Elite cardholders. 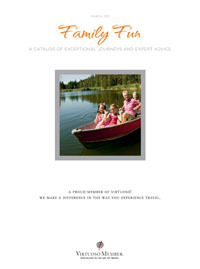 New to Virtuoso or just looking for a quick read? Pick up a copy of Virtuoso Traveler for information about our exclusive offers, advice from our experienced travel advisors and a sneak peak into what’s about to become popular in the luxury travel industry. 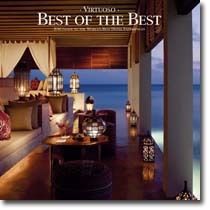 Around the world from stays to getaways, check out the current version of Best of the Best . Enjoy your family vacation without planning a thing. 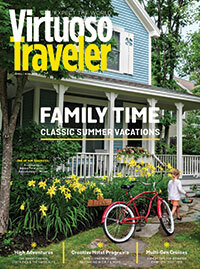 Take some time and peruse the Family Fun travel catalog to find the vacation that most appeals to you. Raft the Ewaso Nyiro river, bike through the vineyards, or see the US Open from the very first row. With our Special-Interest Experience packages, enjoy truly unique and memorable travel you can savor long after returning home.